A wide field image of the region of sky in which HD 189733b is located. 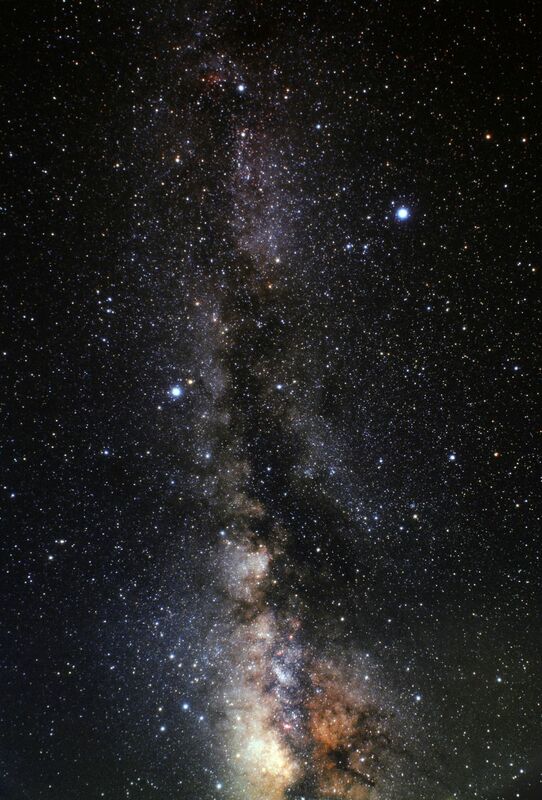 In this image we can see the asterism of the "Summer Triangle"
A giant triangle in the sky composed of the three bright stars Vega, Altair and Deneb. HD 189733b is orbiting a star very close to the centre of the triangle.